When you think about the topic of estate planning the matter of arranging for future asset transfers after your passing may immediately come to mind. Unquestionably this is at the core of estate planning, but to be totally prepared for the eventualities of aging there are some other very important things to take into consideration. It is quite possible that you will go through a period of incapacity before passing away. 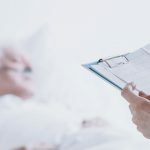 The level of your incapacitation can vary considerably, but there may well come a time when you can no longer make your own health care, personal, and financial decisions. For this reason estate planning attorneys recommend the execution of documents called advance health care directives. One of these is the durable power of attorney. With these documents you empower someone to make choices in your behalf should you become unable to make them for yourself. These would include medical decisions if you execute a durable power of attorney for health care. However, back in 1996 Congress passed the Health Insurance Portability and Accountability Act (HIPAA). This act was intended to provide certain protections for people regarding health care, and it also tightens restrictions on medical professionals giving out information about patients. Therefore, you would do well to include a HIPAA release or releases when you are planning your estate naming those who would be allowed to gain access to your medical information. Of course this would include your health care proxy. These advance directives are an important part of any comprehensive plan for the future, and as experienced estate planning attorneys we can assist you if you are ready to put your directives in place.